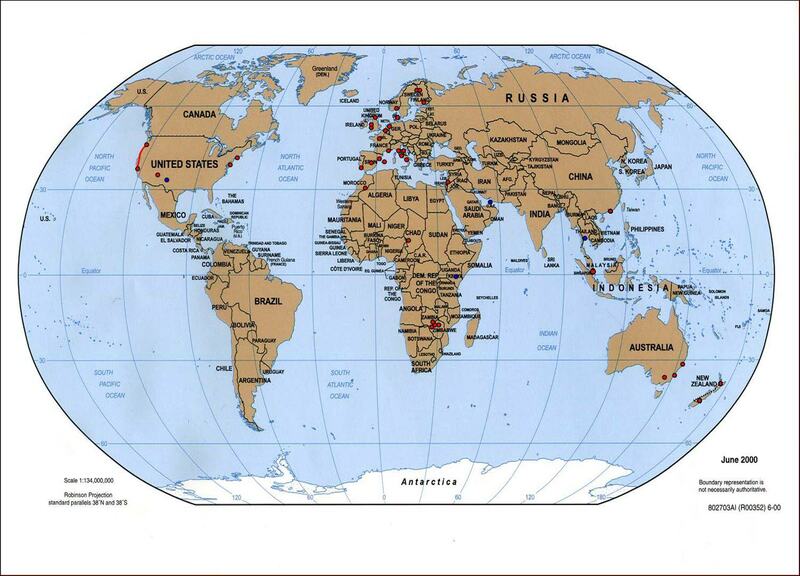 Red dots show countries/cities that I have visited. Blue dots show places through which I have transited. For a full size version (244k) of the map, please click on it.